This square shaped flush mount by Tech Lighting features a glass shade mounted on a plate formed base. This contemporary light gives off general light and is perfect where you need overhead light and don't have room for a large fixture. The light fixture can be mounted on the ceiling or wall. Please select incandescent or fluorescent lamping. Includes either two 40W halogen bulbs or two 13W fluorescent bulbs. 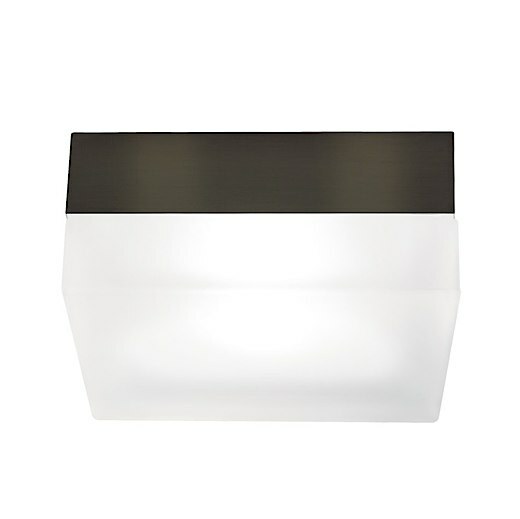 Incandescent dimmable with a standard incandescent dimmer (not included). Suitable for wet locations. ADA compliant.